It can rip DVD or convert video files from 3gp, asf, avi, flv, mp4, mpg, rm, rmvb, vob, wmv and more into iPod mp4 format. Auvisoft iPod Converter is easy to use. You can easily choose preset output iPod movie quality or set a customized quality. 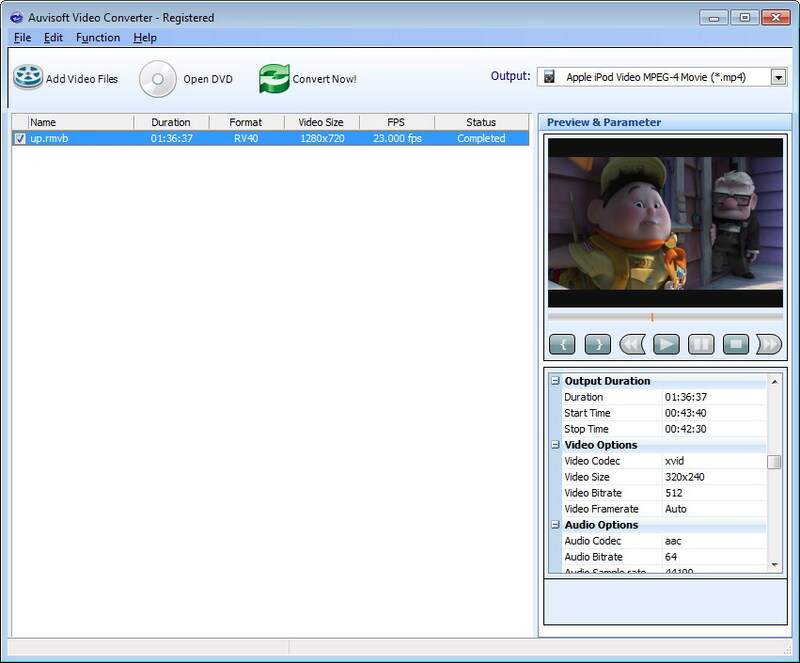 With just a few clicks it will complete the task of batch converting videos to iPod!